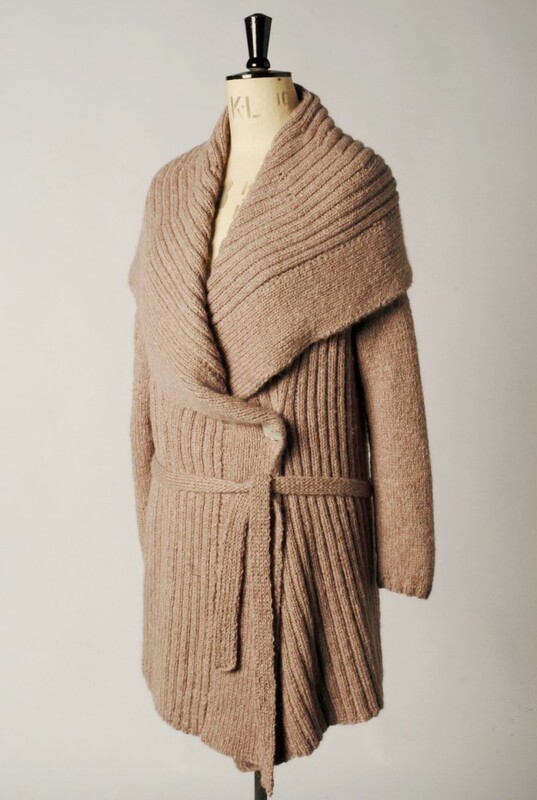 Shawl collar wrap coat is a luxurious and versatile ribbed coat with a large collar which can be worn in a variety of ways. 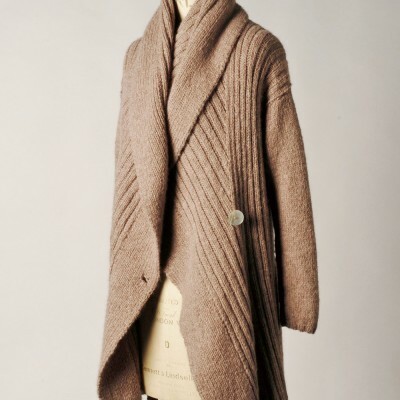 As seen in these images, the coat can be worn with a button (or brooch) fastening; belted either with a self-belt or a chunky leather belt; with the collar worn down, folded around the neck, or even as a hood . 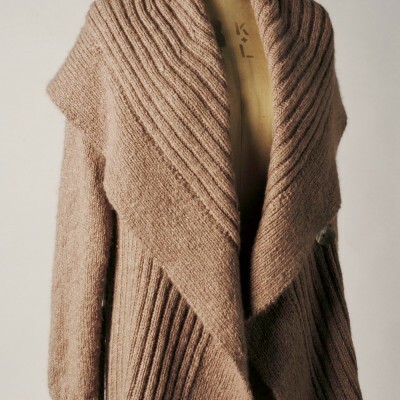 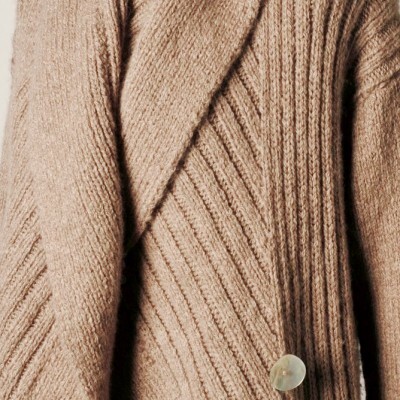 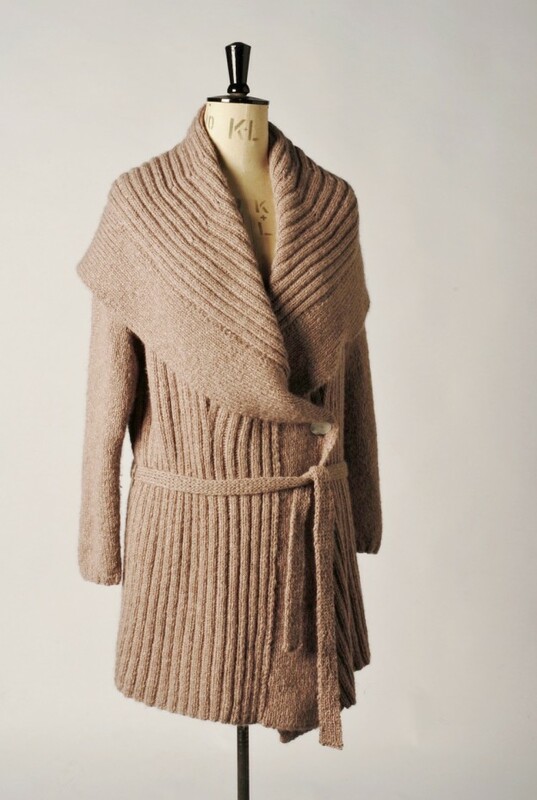 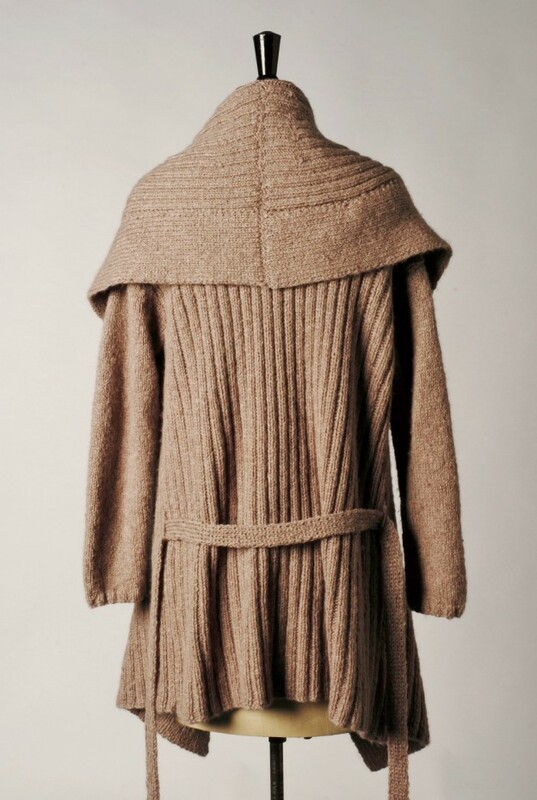 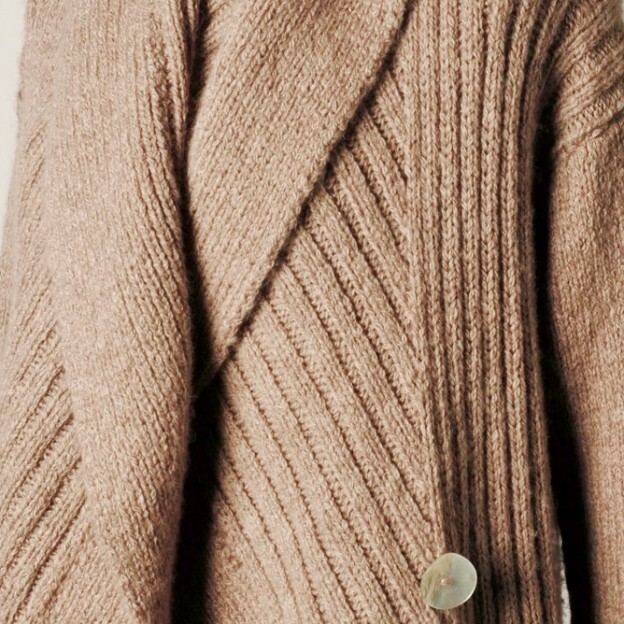 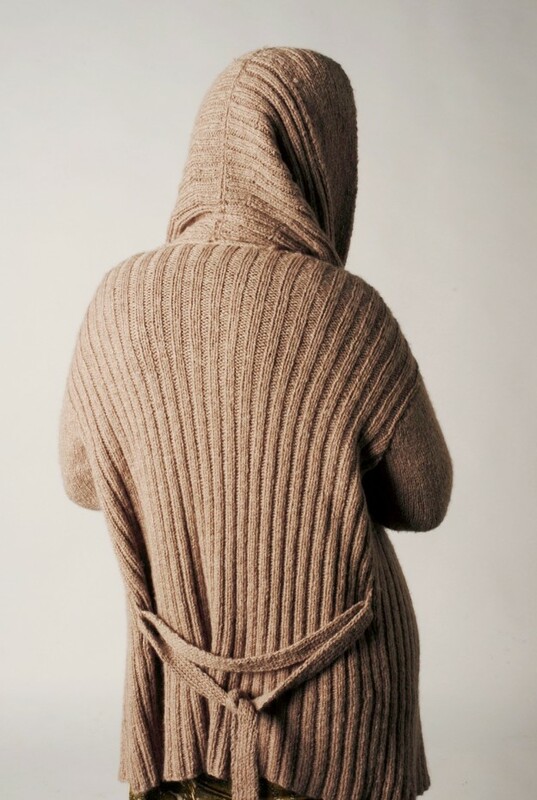 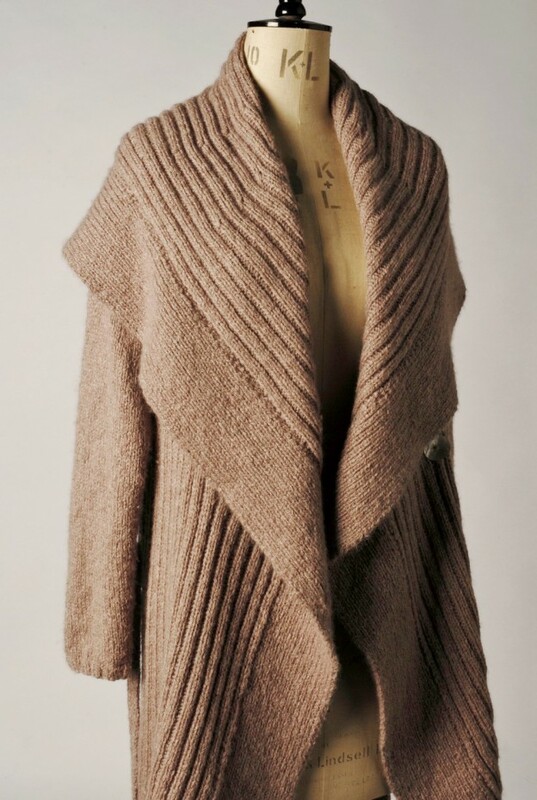 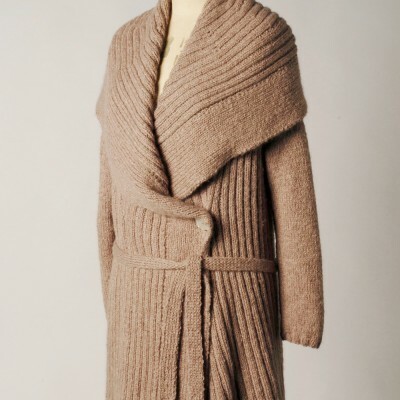 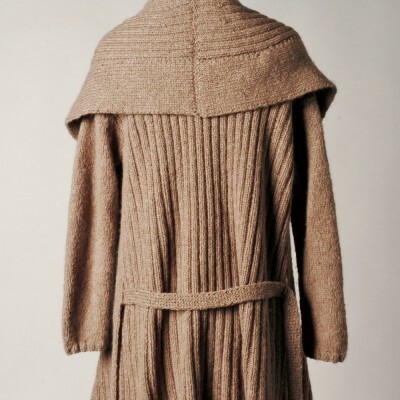 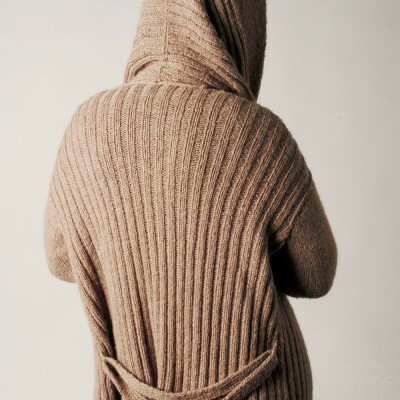 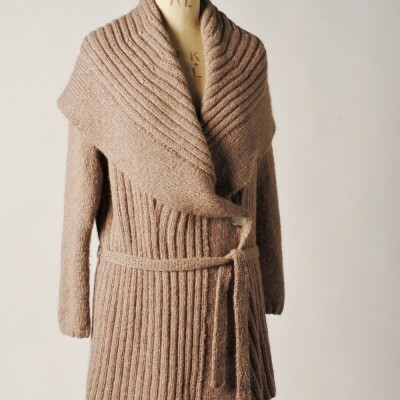 The coat body is knitted in a simple 2×2 rib, with the collar knitted in a 1×1 rib. 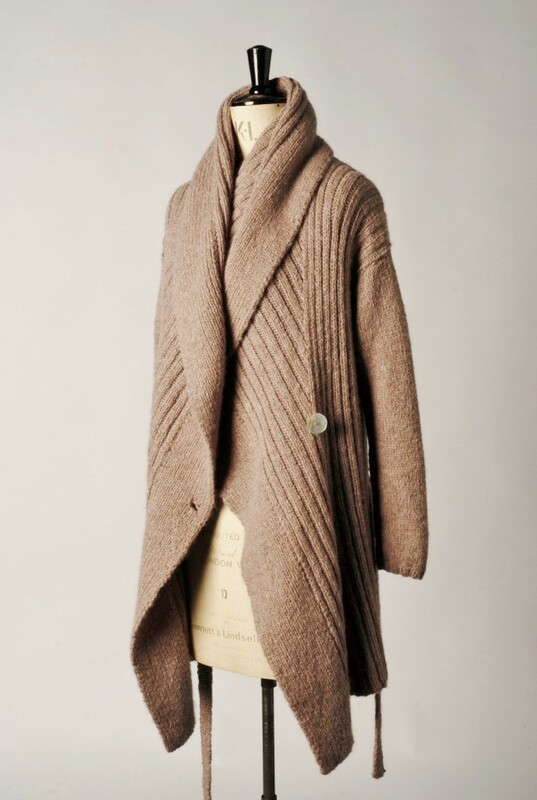 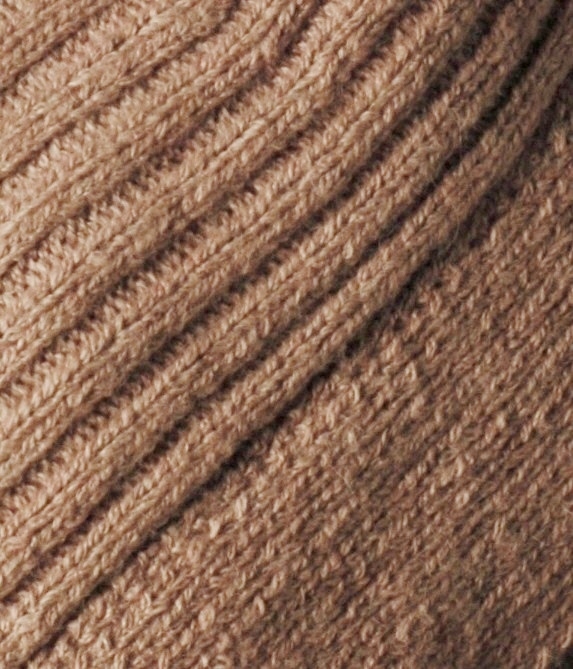 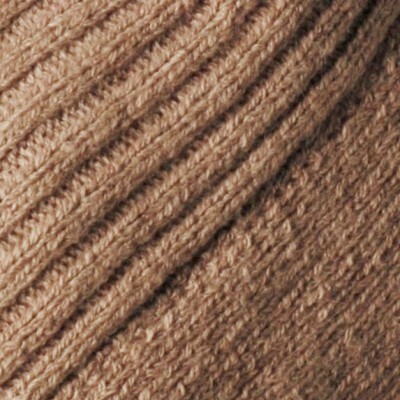 Yarn: The coat is knitted using Rowan Lima – a beautifully soft mix of alpaca (84%), wool (8%), and nylon (8%) (110m (120yds) per 50g ball).